What a fun way to learn about combining coins! 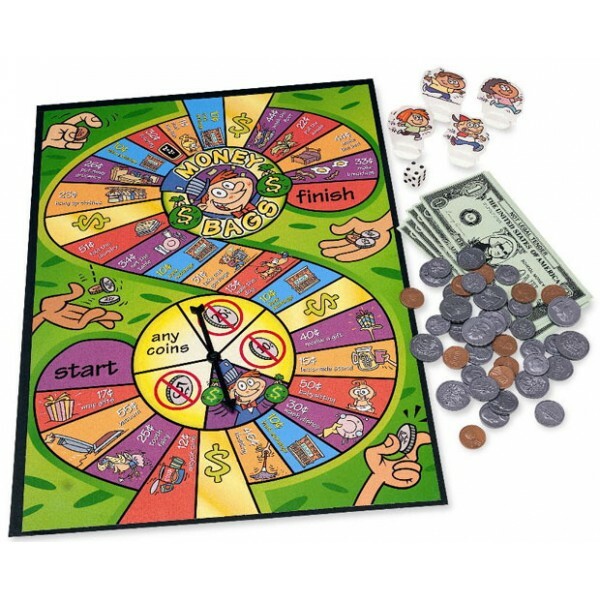 The object of this colorful and compact board game is to earn money while winding along a cartoon path. Money is earned by landing on a square labeled with a practical chore, such as setting the table (31 cents), or an entrepreneurial endeavor, such as a lemonade stand (15 cents). 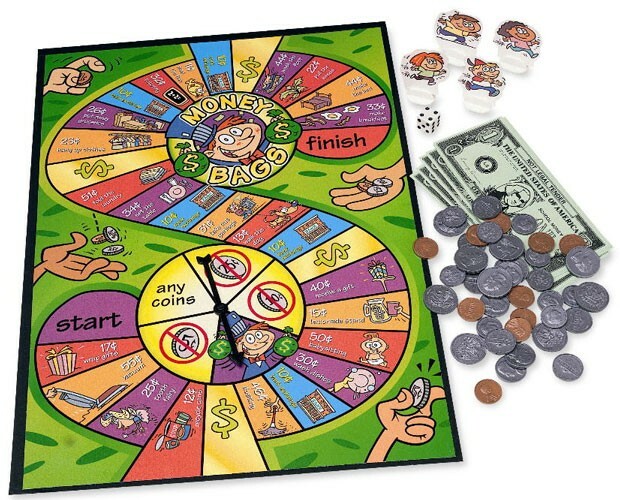 In order to collect money, the spinner is used to determine which coins can or cannot be taken from the bank. If the spinner lands on "no nickels" then you collect your change with any coins except for nickels. There's an additional incentive to use critical thinking and coin combining skills. Extra money can be earned if you land on a "Bank Exchange" space and exchange your coins (for example, two nickels for a dime). 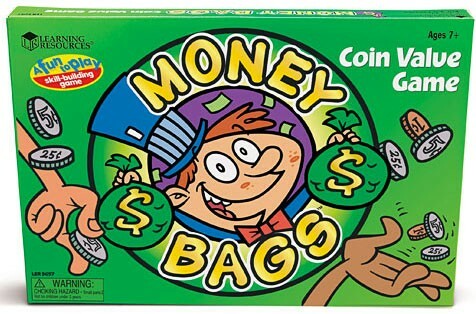 As you may have suspected, the player with the most money at the end wins.